Do you want to create your own online course to sell but are lost about the best way to do it? Wondering which platforms to use to build your course? How much to price your online course? And lots of other questions! 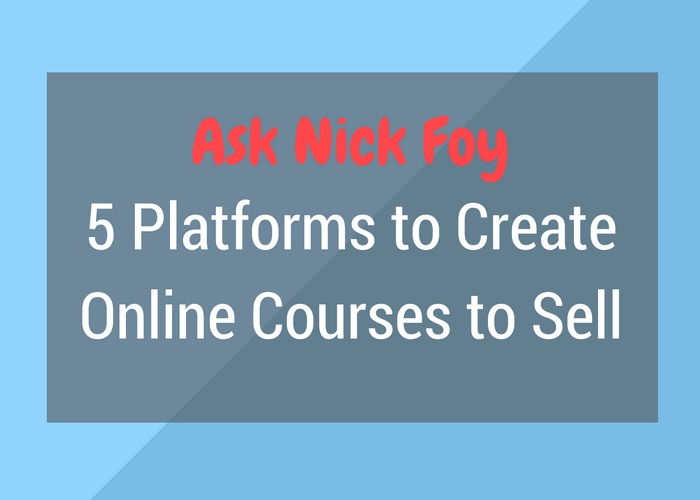 No worries, this guide will share my review of 5 online platforms for course authors to host their training courses regardless of which niche you’re in. I currently use Teachable to host my 3 courses: Profitable Blogger, Profitable Pinterest Traffic, and ConvertKit Made Simple. Once your course is created, I’ll show you how to drive massive amounts of FREE traffic to it so you can begin getting customers to enroll. Just click here to learn more about Pinterest and how powerful it can be for your online business. Pricing: From $79 per month to $149 per month. Ruzuku is another online platform for creating online courses and selling them to your audience. This platform allows you to upload about any type of media to include in your courses, for example, video files, audio files, and PDF files. You can set up modules with lessons and quizzes inside. Ruzuku makes it ridiculously easy to set up and sell online courses if you don’t have much technical experience with websites and online business. Ruzuku allows you to accept payments through Stripe and Paypal as well as Infusionsoft or 1Shopping Cart. You also can offer multiple price points for each course your design and sell. If you want to offer subscriptions with recurring payments you can do so as well for a membership style course or community. Want to offer free courses? Ruzuku makes it easy for you to do so! Ruzuku integrates with Mailchimp if you’d like to send automated emails to your students, updating them of new courses, lessons, and content. You can also offer Demand Courses where you drip content to your students overtime, restricting access initially. This helps slow them down and make them take their time on each lesson in the course since the new lessons won’t unlock for so many days or weeks. Who is This Online Course Platform Best For? I’d say that Ruzuku is best for people with limited technical knowledge, or those who just want to get up and running fast. Much of the platform looks similar to the WordPress backend, so it’s pretty easy to use. You’ll be able to quickly create courses that offer articles, audio, and video files and you can go a step further by offering webinars and live classes through Ruzuku’s platform. 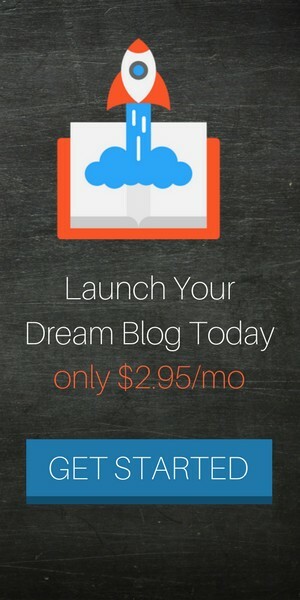 Pricing: From $29 per month to $299 per month. They also have a free plan. Teachable is probably my favorite and the platform I use currently to create and sell my online courses. It was initially built to address problems people had with Udemy which is reviewed shortly below. Teachable has an amazing course builder tool that makes it super easy on users to set up new modules and lessons. You can upload all types of media (PDF’s, audio files, video files) and then it lets you rearrange their order if you uploaded multiple within the same lesson. For example, I uploaded a video for one of my recent courses and then underneath it, I uploaded a PDF file that is the transcript text from the video. This allows my students to not only watch the video lesson but also learn by reading the text formatted transcript. I also like that Teachable has a multi-language support and their integrated blog gives you a better chance of improving SEO if you choose to use their blog platform. If you want to quiz students, Teachable allows you the option to create quizzes in your online courses as well as helpful discussion forums to keep people around for the community aspect of the course. Teachable is in line with the other online course platforms in regards to offering email marketing features, coupons, international payments, affiliate programs, and landing pages. Teachable is mainly for those looking to get solid features for a low price. The monthly rates are the most reasonable on this list, and as you can see from the feature set, it’s rather impressive. I got started with the FREE plan and as my student base grew, I upgraded to a paid monthly plan to save money. Marketing and analytics are extremely powerful, and you can also integration with systems like MailChimp, Ontraport, Infusionsoft, Mixpanel, and some other marketing tools through the Zapier app. Overall, I’d recommend trying it out with their free plan since there is no risk. Rainmaker is another feature rich platform making it easy on your to create online courses to sell. You can easily build your audience using articles, audio and video. Rainmaker can help you grow your email list faster and earn more money through marketing automation. Need help with landing pages? This platform makes it fast and easy to craft killer landing pages. It’s also great for users who wish to start profitable membership programs to sell to their communities and generate recurring monthly revenue. There’s virtually nothing you cannot do with Rainmaker. You can start a FREE 14 day trial if you want to give Rainmaker a test ride before fully committing. Overall, think of Rainmaker as an All-in-One platform where you combine website with email marketing with creating and selling online courses and products. Pricing: From $199 per month to $449 per month. The Academy of Mine platform is one of my top recommended choices when it comes to making and selling your own online courses. This platform is for people with little technical knowledge or experience as they provide you with a full website to launch your business and start selling courses. If you don’t know how to make a landing page or sales page for your courses, no worries. Academy of Mine provides you with templates to choose from making the design process simple. Most importantly, Academy of Mine is a great platform for course creation and learning management system. You can set up courses with chapters or units. You can offer quizzes inside your course to test your students knowledge of the concepts. You can even hand out certificates, badges, and other assignments. Academy of Mine accepts credit cards and PayPal, making it easy on you to sell your courses and collect payment from students. Lastly, you can set up an affiliate program and email marketing system as well if needed. It’s hard to say that anyone would be dissatisfied with Academy of Mine since it offers so many features and is a complete learning management system. I would recommend it for brands who want to build a community around the courses. You can set up forums, live chats, and other marketing tools to help build and grow your community. This platform has features built in that make it perfect for membership style websites. Depending on the features you need for your business, you may find these community style features prices but well worth the money. Overall, it’s a great option for creating online courses and selling them to your community of loyal fans. Udemy is by far the most popular solution for building and selling courses online. It’s been known to have mixed reviews online, but its network is unmatched for bringing in more students and boosting your sales. Building your course is all done in the Udemy dashboard, and when you’re done, it gives you access to the millions of potential students in the Udemy community. Process any type of credit card, but keep in mind that Udemy keeps 50% of your revenue when they help you promote the course to a student. However, if you bring in a student without the help of Udemy, 100% of the revenue goes to you. I’ve been using Udemy awhile and I found it more difficult to set up my courses than I did with Teachable. I also don’t like all the pricing changes and rule changes Udemy has had during my time so far with them. I’ve received emails forcing me to change the prices of my courses and if I don’t comply they threaten to remove my courses from their platform. This means I don’t have true pricing freedom over my courses. I also don’t like how big of a chunk of the sale they take from you when students join your course. In order for a student to count as your own referral, they have to enter a code. If they forget to or choose not to, then the student can be classified as one that Udemy sent. I like this course for people who are nervous to create their own website, or for those who want to save some cash. After all, it is completely free upfront. Udemy has a main focus on selling video courses, but you do have the ability to upload other course materials like PDFs and audio. In my opinion, you’re basically giving up a little control of your course to gain access to the giant community. I can’t stress enough the importance of picking a platform that makes it easy to create your courses. In addition to the course management platform, you also want to consider the other bonus features that will be important to the growth of your online business. These features to consider include email marketing, landing pages to drive students to, and affiliate programs so that other influencers can send students to your courses and be compensated for it. Once you’ve set up your online course, the next step will be getting traffic to it. You can go the slow route and try to rank your website in Google using SEO. You can take the expensive route which includes buying Facebook ads. 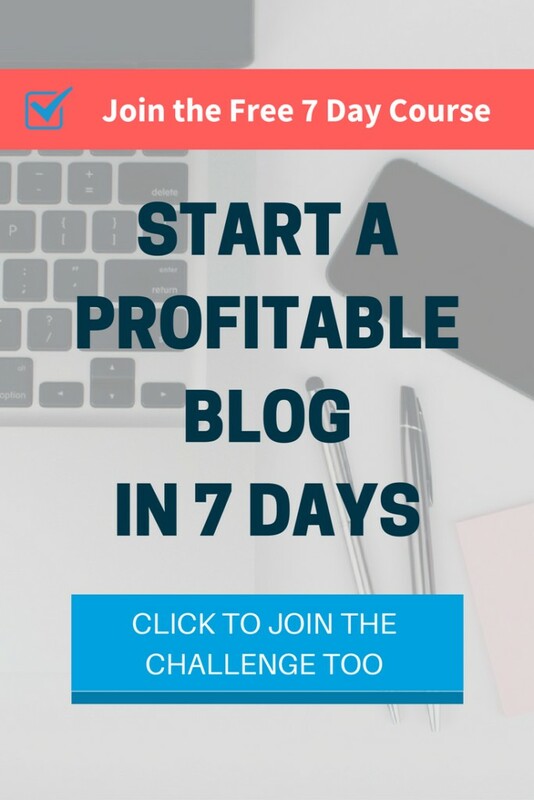 Once you complete Nick Foy’s Profitable Email Course you’ll have the knowledge to build a huge email list of loyal subscribers who will be primed to buy your courses come launch day. Download my 6 page guide giving you 11 types of emails to write in your autoresponder series and as one time emails to send to your email list.